PokerTek is growing. 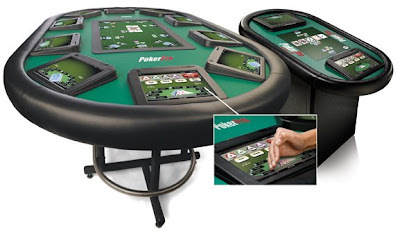 The Matthews-based company builds automated poker tables, and I've received two press releases in the past week about casinos that have begun using the tables. Last week, Trump Plaza in Atlantic City began holding tournaments on its 12 PokerPro tables, PokerTek's flagship model. I had the privilege of visiting PokerTek's office about two years ago and playing a round of Texas Hold 'Em on one of the automated tables. I don't have much poker playing experience, but I enjoyed it and had a bit of beginner's luck. If I was a professional poker dealer I'd be worried. If more and more players find these automated poker tables enjoyable, human dealers could soon be out the door. Casino owners are probably already looking at how much money they could save. I don't know how much a PokerPro table costs, but I'm sure it eventually is less than a salary and benefits. It's only a matter of time before we're all replaced by technological advances. Soon, I'm sure, there'll be a computer that types itself and I will no longer be needed. 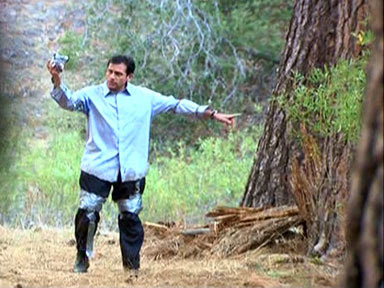 And that's when I'll retreat into the wilderness to survive like Michael did in that episode of The Office.